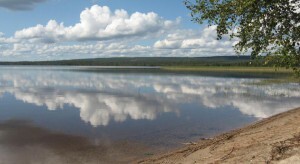 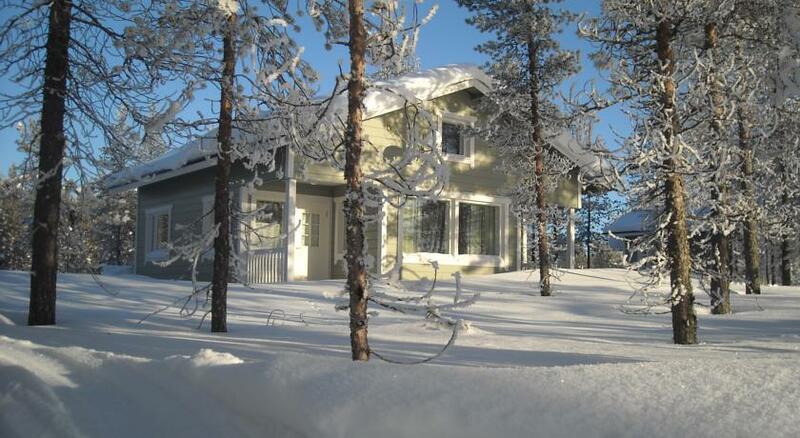 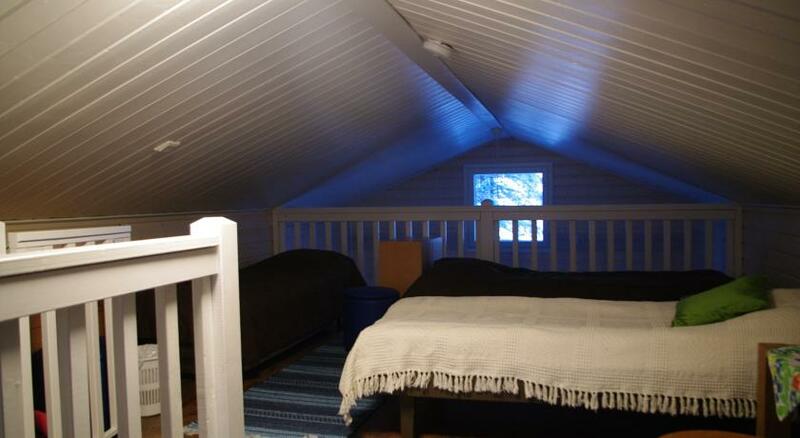 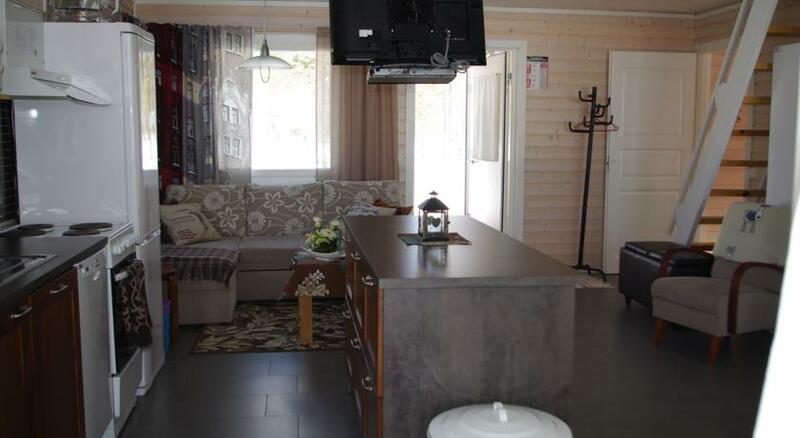 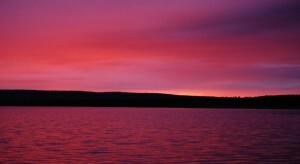 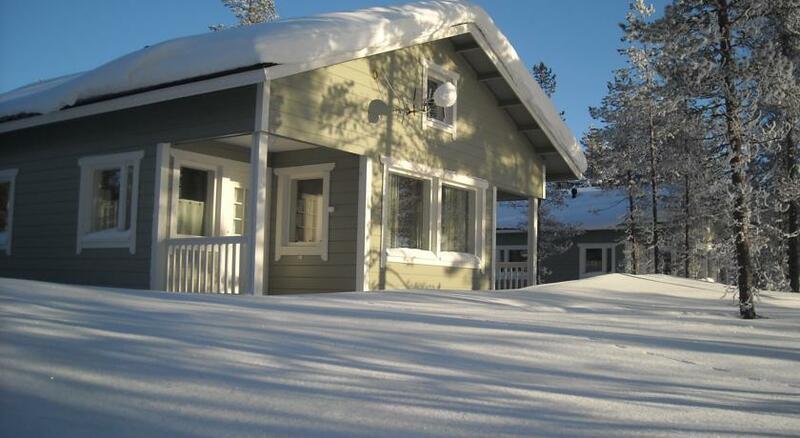 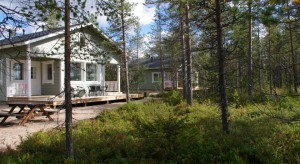 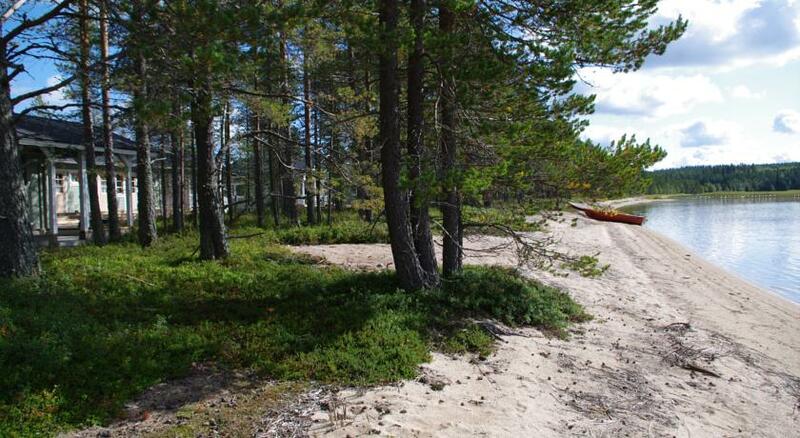 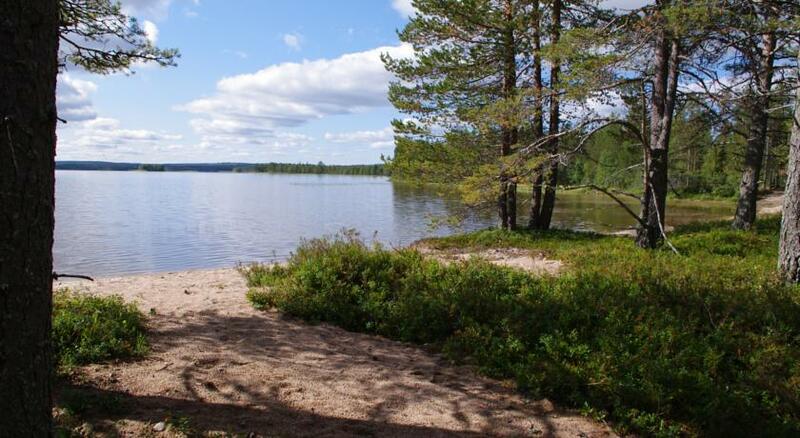 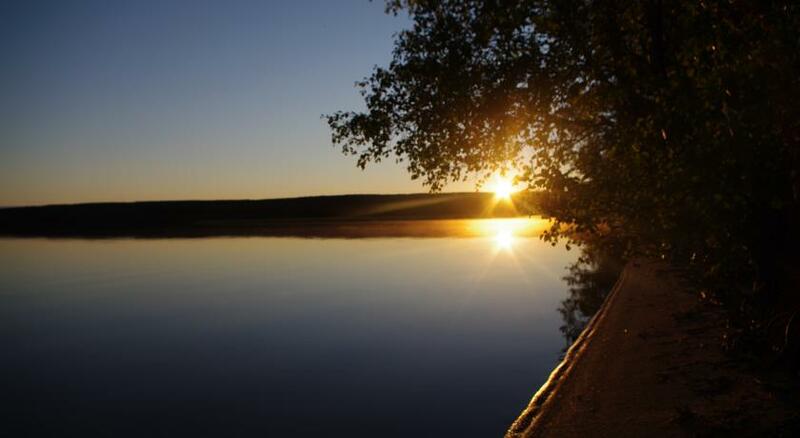 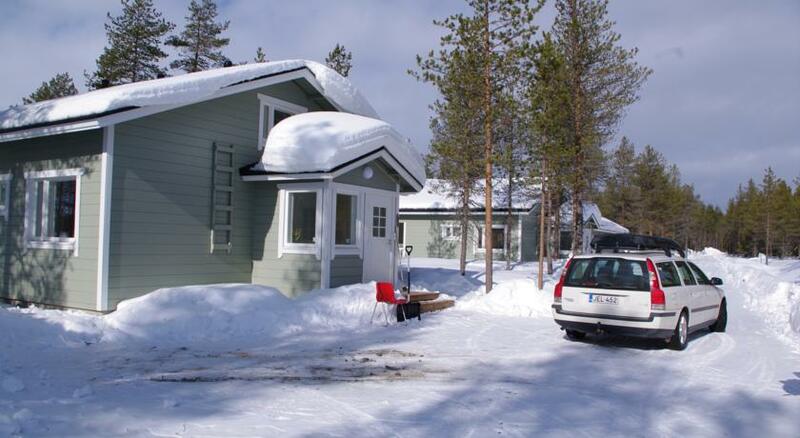 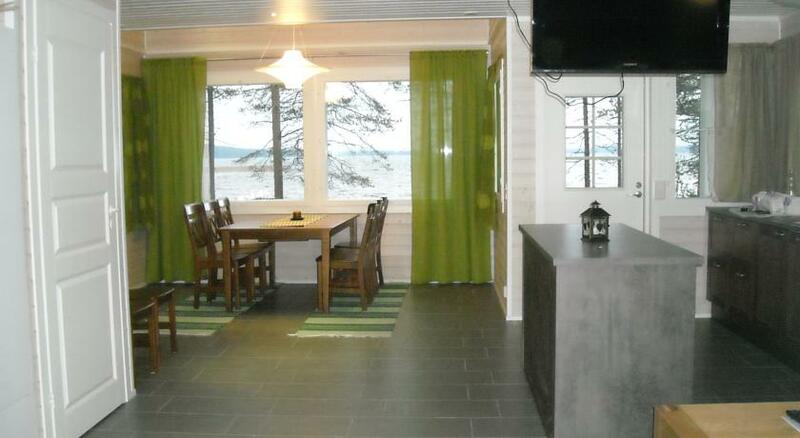 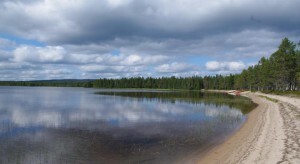 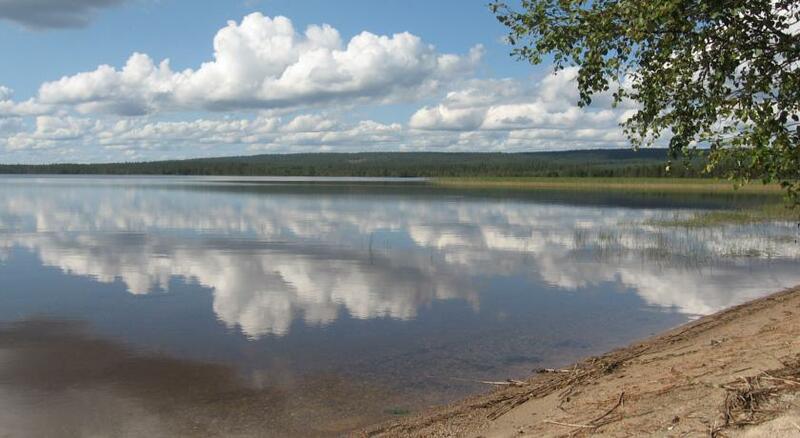 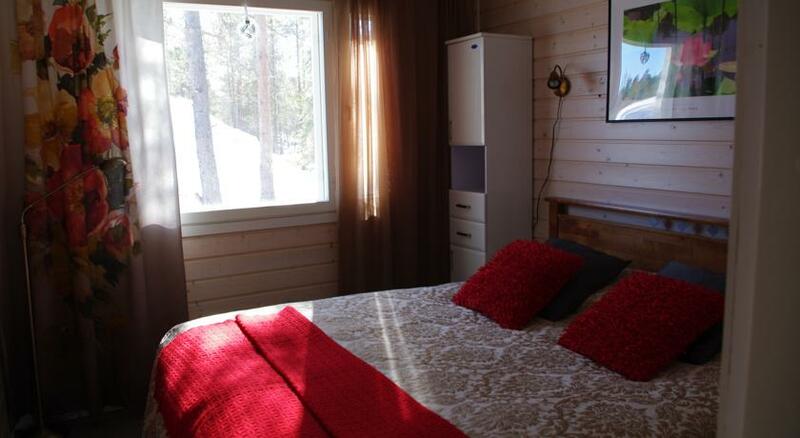 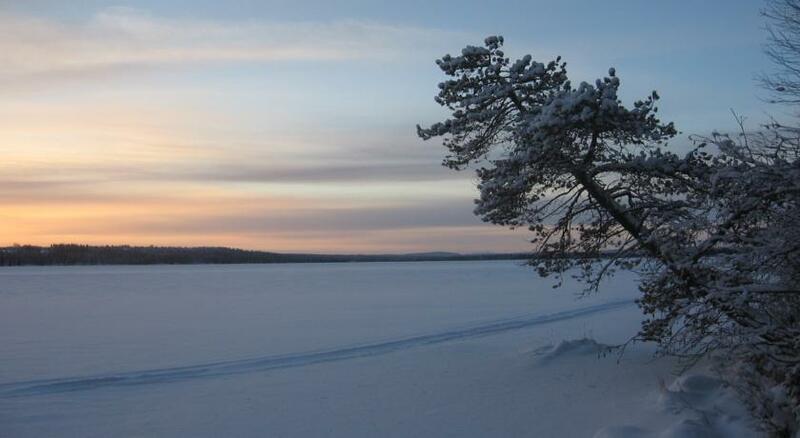 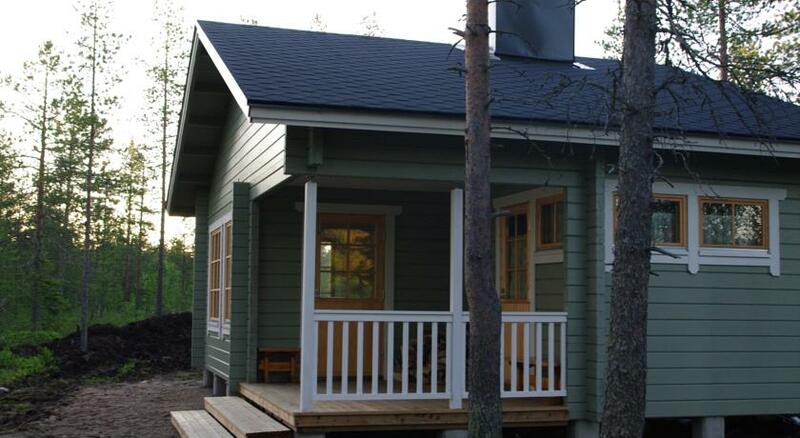 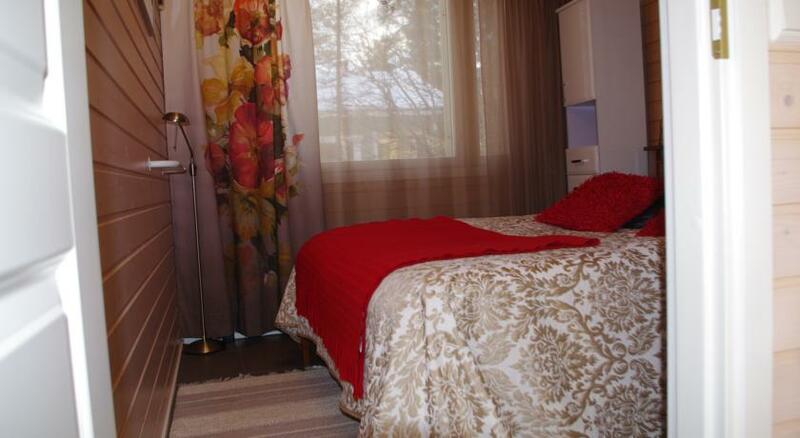 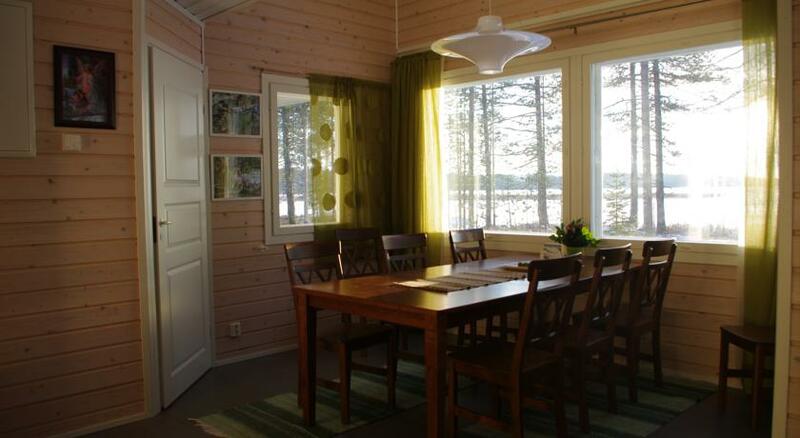 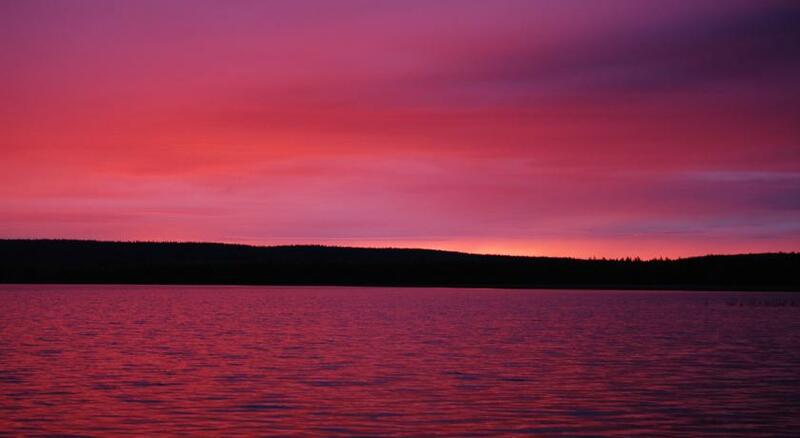 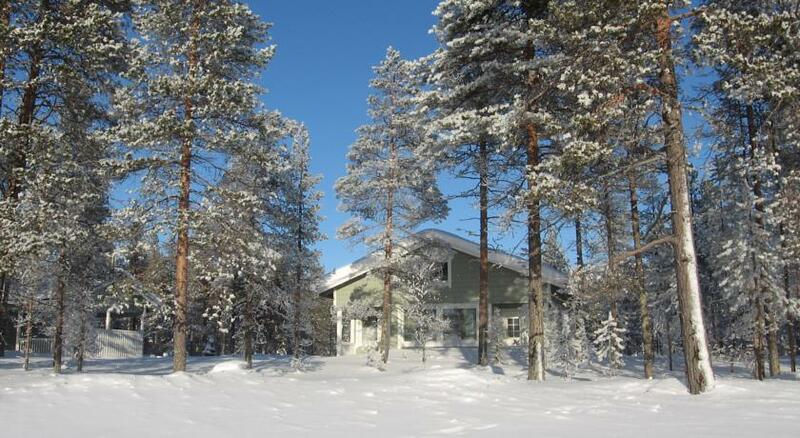 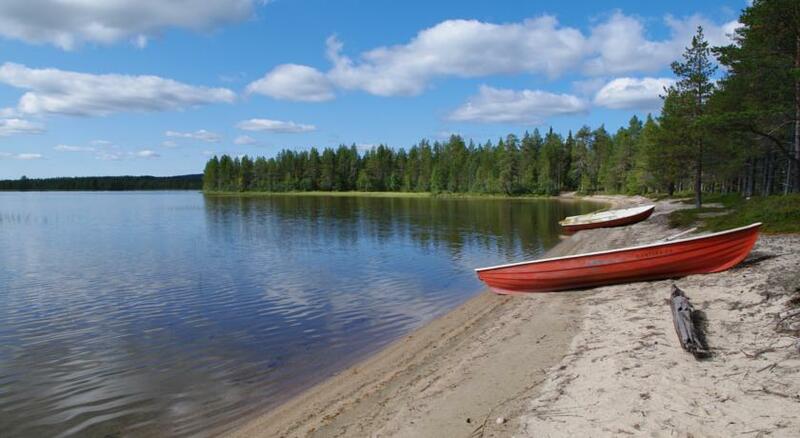 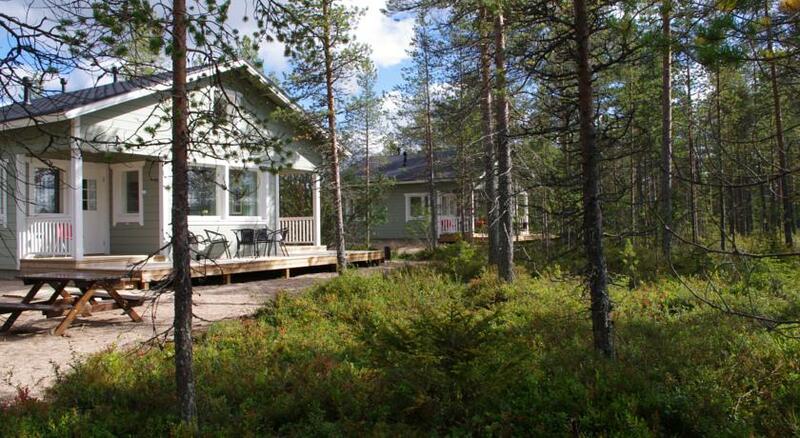 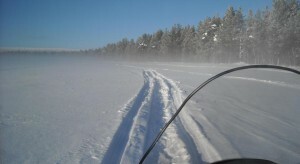 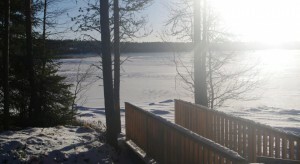 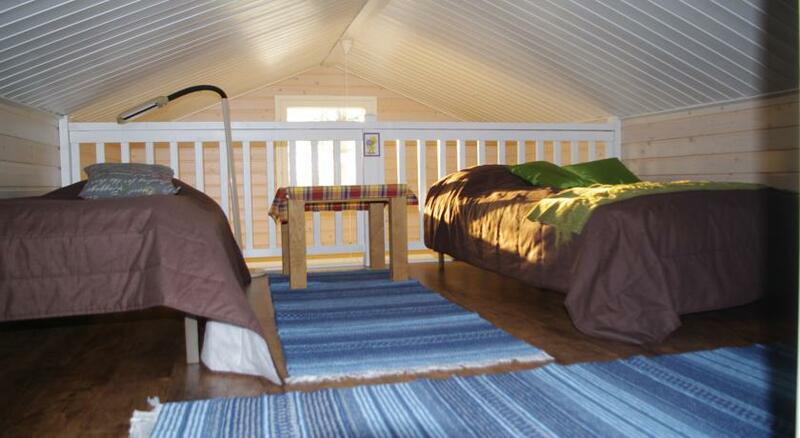 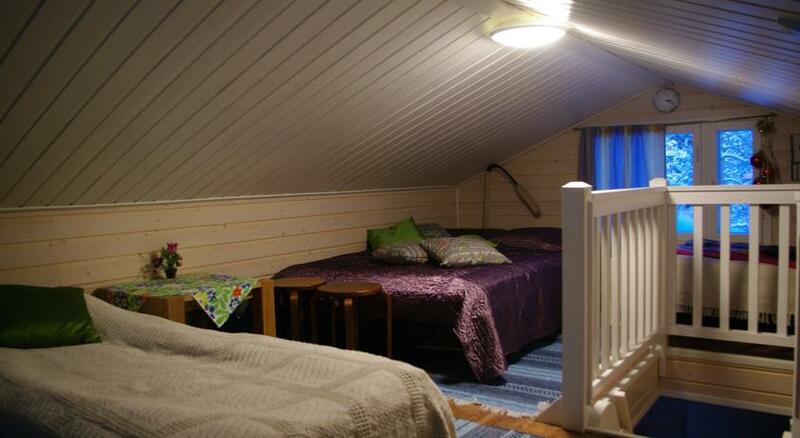 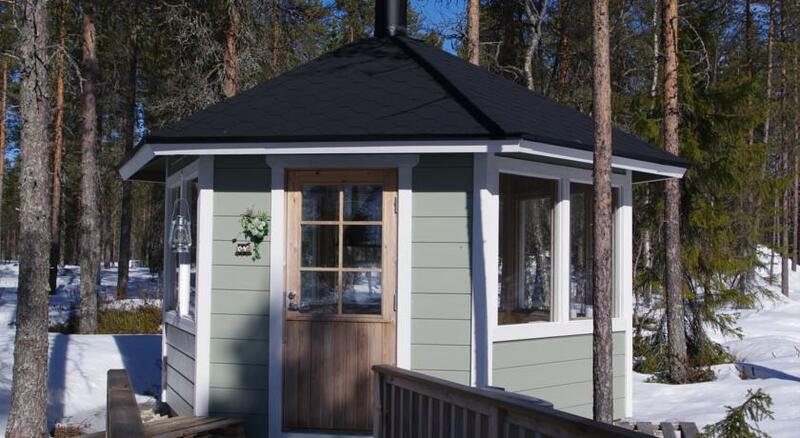 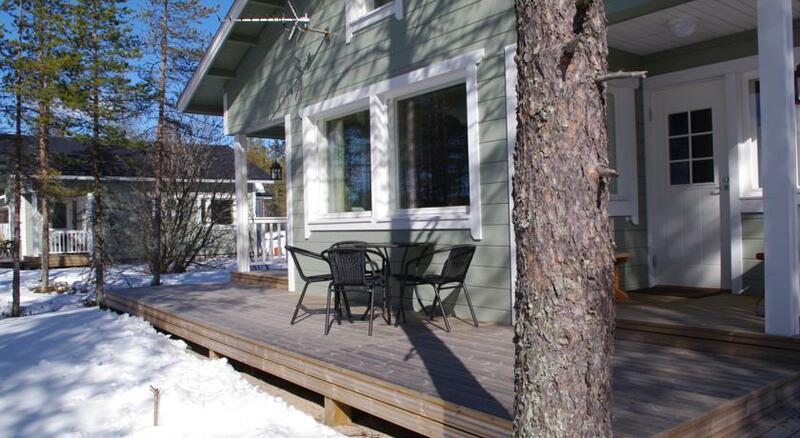 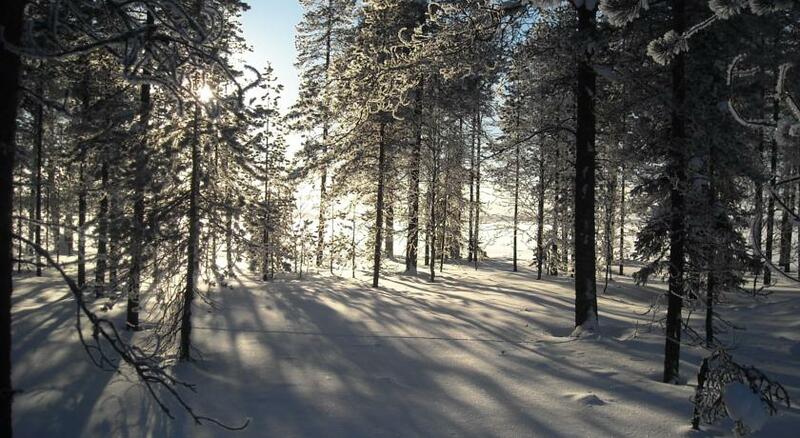 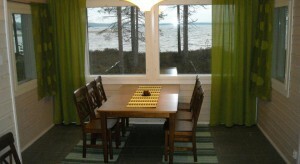 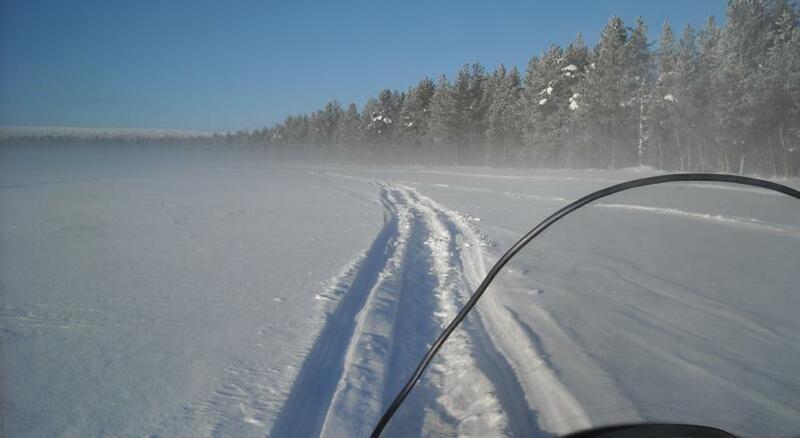 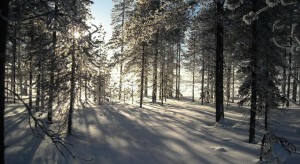 There are two high standard luxury cabins with a wonderful view next to the lake Anetjarvi. 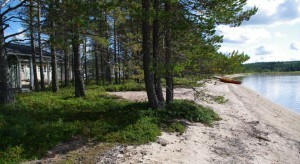 You can see the sunset and hear waves hitting the sand beach. 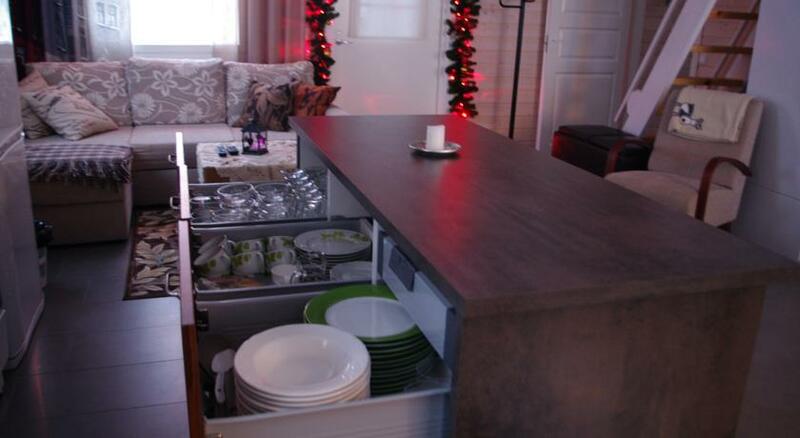 In one cabin there is room for maximum 10 persons. 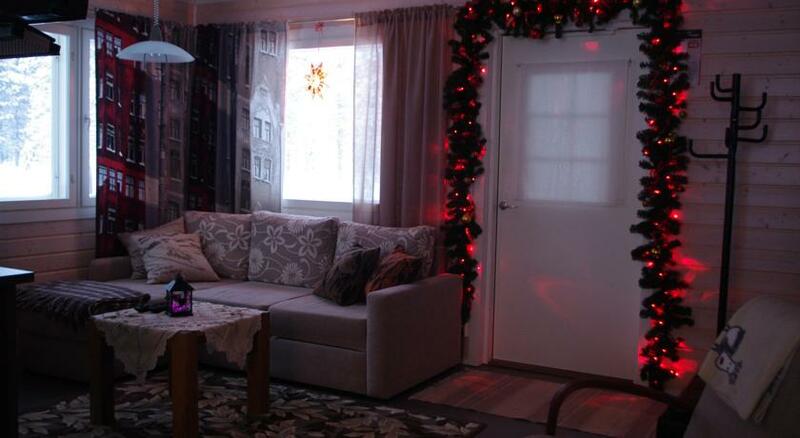 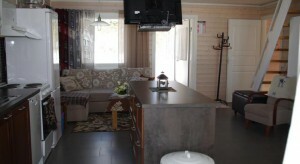 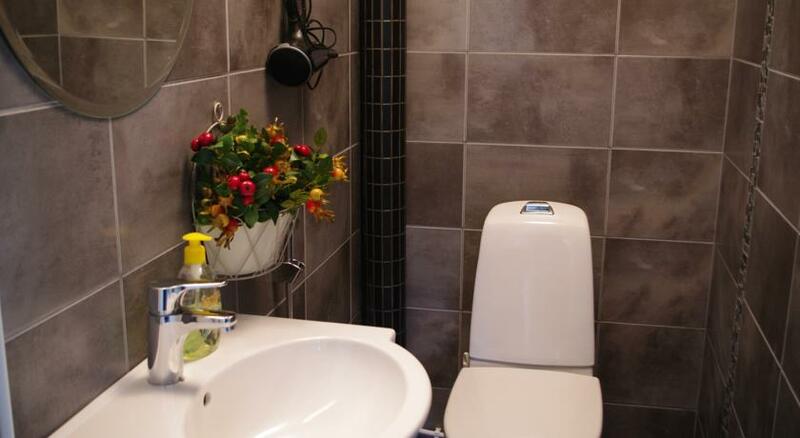 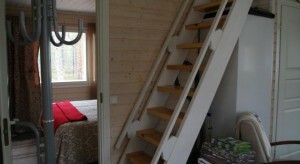 Cabins have all facilities and also sauna. There are two other saunas on the beach. 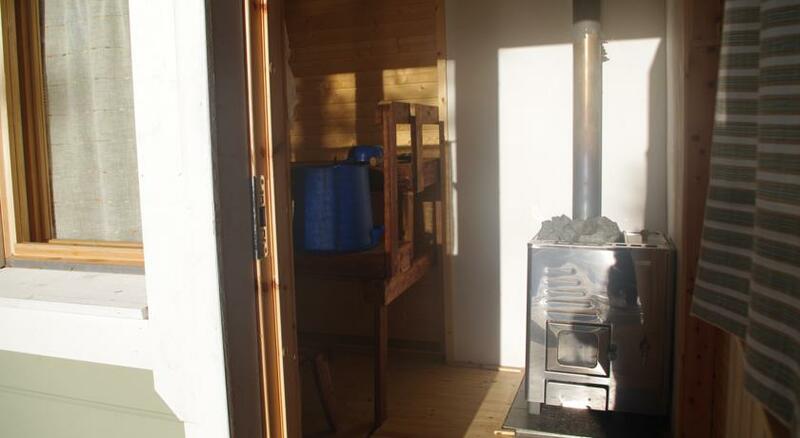 Small sauna next to the cabins and a bigger sauna little bit further for bigger group. You can sit next to a fire and use a barbeque place or a summer kitchen. 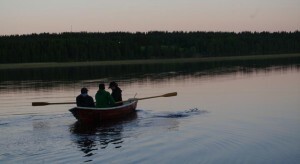 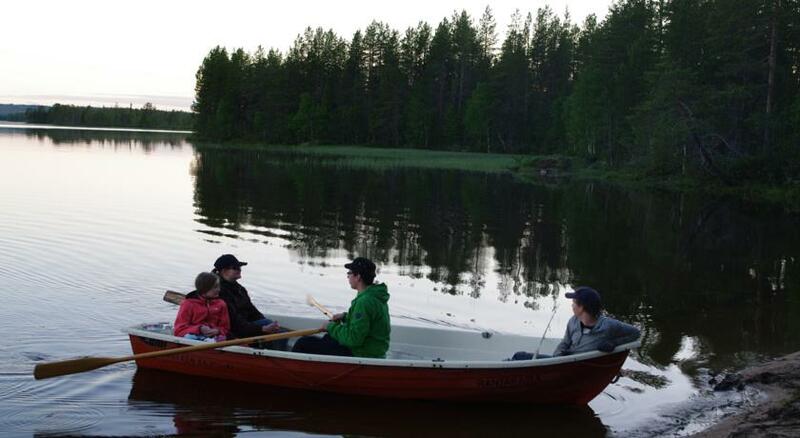 You can catch big pike from lake Anetjarvi and also go to the lake by a boat. 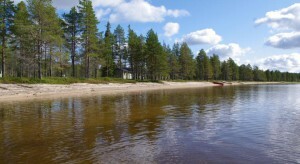 The beach is suitable for children, not so deep water. 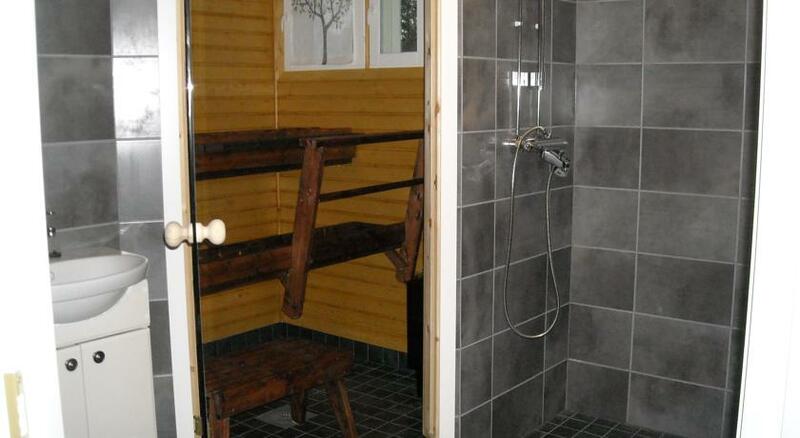 You can go for a swim directly from the sauna. 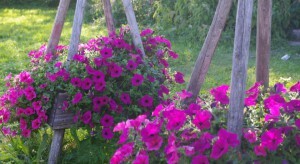 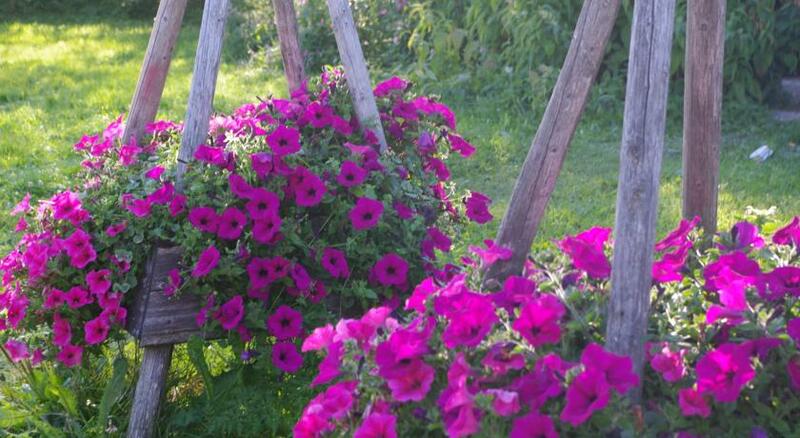 You can also sit on the terrace taking sun, listening to birds, feel the smell of flowers and enjoy. It is all up to you. 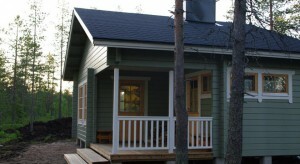 one of the cabins is allowed to have pets with you. 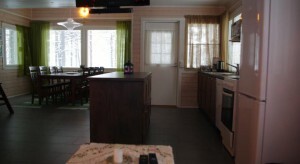 Ask for the price. 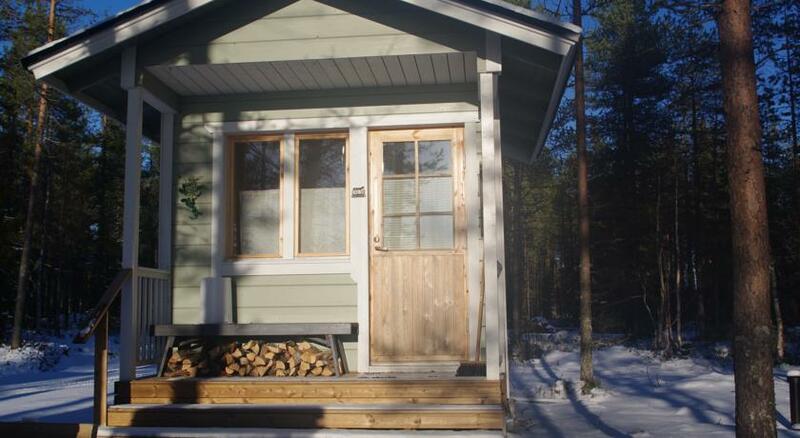 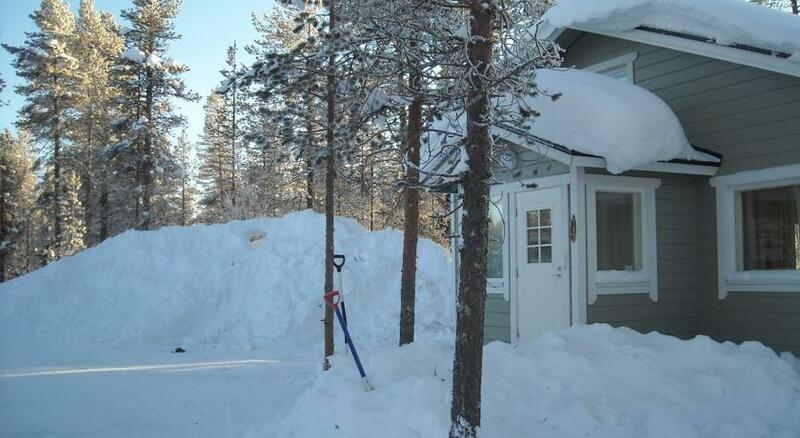 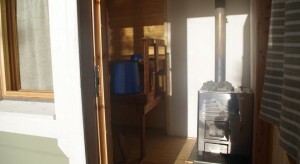 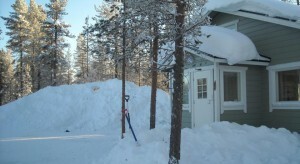 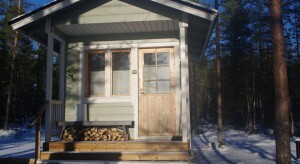 Outdoor sauna: 100m from the cabin there is a wood heated sauna for 2 persons, further away a sauna for bigger group. Ask for the price. 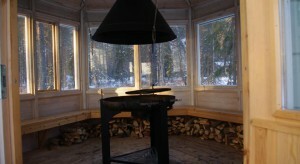 A big barbeque hut in the area.